Prototype developed with the help of a grant from the VIA. 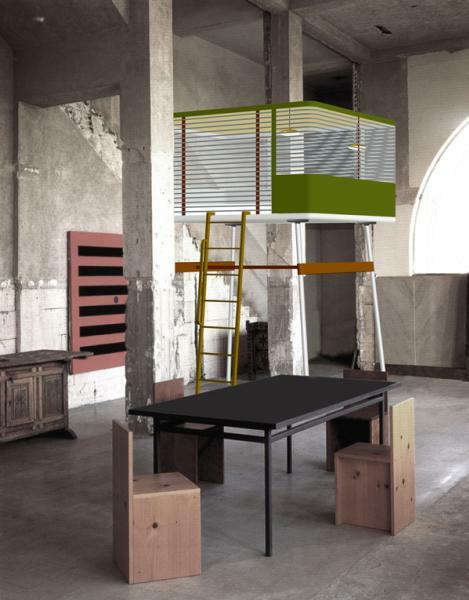 “The « Lit Clos » puts forward a simple idea. 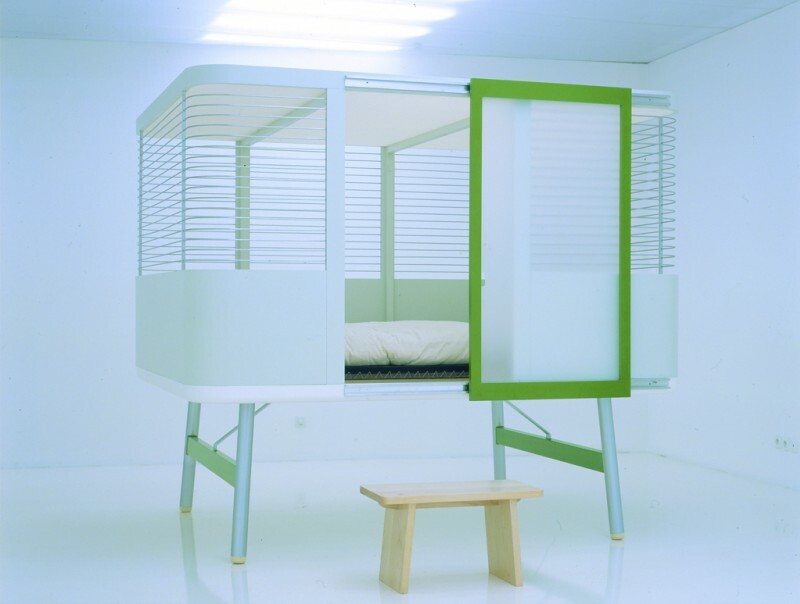 It’s a box that’s sufficiently closed to accommodate a bed and the intimacy that it presupposes, and at the same time sufficiently open not to be claustrophobic. 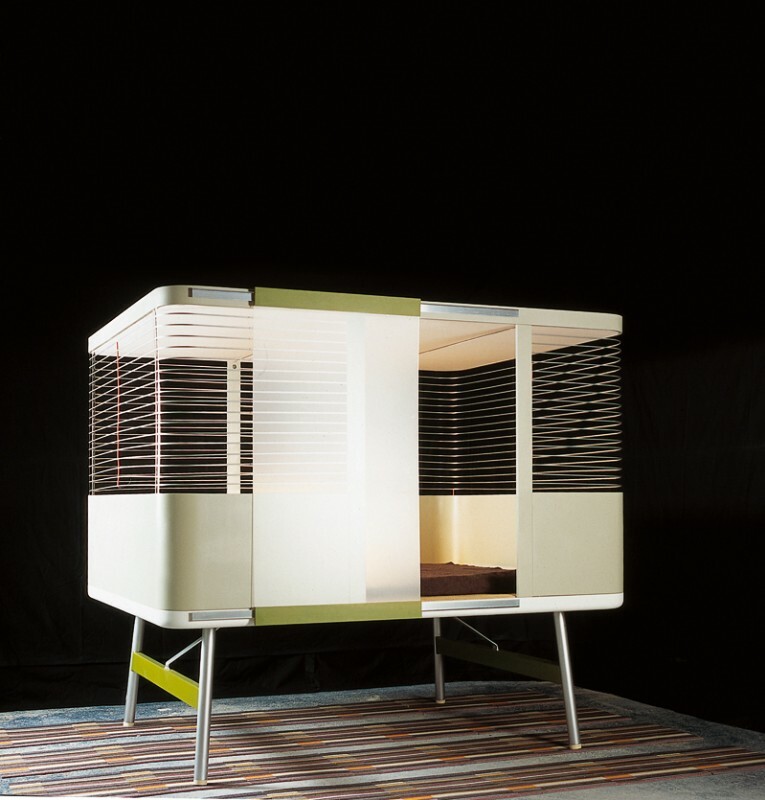 The box is on an architectural scale, between a bed and a bedroom. f assembly and of installation. While it's admittedly more complex than an ordinary bed, it’s still simpler than putting a bedroom together. There is a play on the scale of the space. The « Lit Clos » frees you from the necessity of building a whole bedroom, and opens up numerous possibilities in relation to the place where one sleeps. 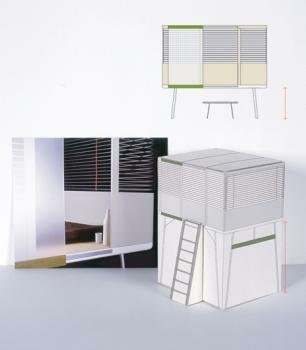 Extracts from the book “ Ronan and Erwan Bouroullec” released by Phaidon in 2003.